Heating accounts for almost half of the energy used and for around a third of the greenhouse emissions in the UK. To meet the target of reducing the emission at least 80% by 2050, new ways of generations, distribution and use of the heat in industrial and domestic buildings should be considered. It has been identified that Smart Thermal Energy allows for adaptation to changing circumstances in supply and demand in the short, medium and long term. The participation of end-users, for instance by supplying heating or cooling back to the network, is also potential. This WP will study future renewable energy sustainability by ensuring a reliable and affordable heating and cooling supply through a heat network, underground heat storage and waste heat recovery. Maximum exploitation of available local energy resources and increased security of supply at a local level with thus be achieved. Maximum exploitation of available local energy resources need to take account of local issues and opportunities meaning trials on sites to increase flexibility and responsiveness to increase security of heat supply at a competitive cost for consumers. i) Researching and developing thermo-hydro- geological modelling expertise to design large scale water source heat pump systems in order to assess both the potential for thermal interference and the long term efficiency of installations. ii) Creating an exemplar project that could demonstrate the technology and stimulate further investment in the sector while providing a valuable source of investment. 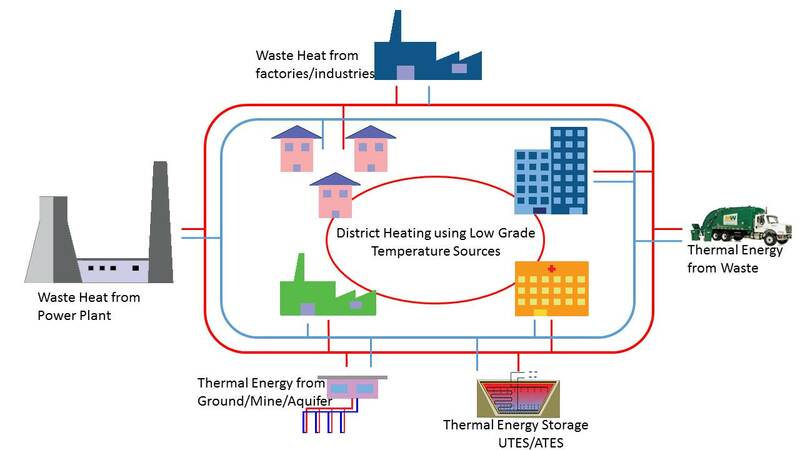 iii) Investigating how best to match the characteristics of a specific industrial process with the technology needed for practical adaptation of waste heat recovery schemes i.e linking the industrial process to a potential heat network. iv) Developing standards for policy makers to build underground storage schemes. Joint work with relevant work packages of FLEXIS, Local councils and industries will help to find the optimised way to include the full potential of heat network, heat storage and heat recovery into integrated energy system. To realize the potential of the above technologies, basic research and demonstration activities will be performed. The demonstration project, which will aim to provide the conditions to attract large scale public and private investment will demonstrate the best possible integration/application of shallow ground/underground water/Minewater/underground thermal storage technology. 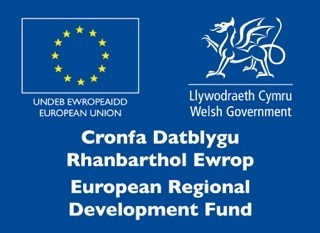 Areas where these ideas can be explored include Welsh place based demonstration sites such as Bridgend CBC’s Smart system heating programme at Upper Llynfi Valley; Cardiff City Council’s to support new homes with low carbon heating systems and areas near the steel works plant in Neath Port Talbot. In today’s time heat networks supply around 2% of domestic, public sector and commercial heat demand. This percentage could be increased if other sources of heat generation such as waste heat from industrial processes, thermal energy from ground, aquifer or mines, or any potential thermal Energy storage system are included. The outputs from this work will build confidence for policy makers and key stakeholders in industry and its supply and consulting chain, through the knowledge gained from the demonstration project. The development of new products/tools and decision support system tools will also take place. This work package is actively participating and collaborating with other industrial/research partners to increase the understanding of new technologies that can provide low carbon heat.